You are at:Home»Gaming»PS Vita TV: I Love You? 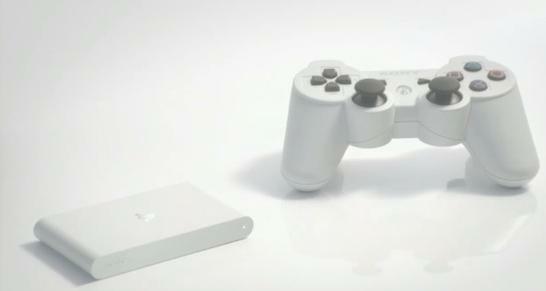 PS Vita TV: I Love You? Andrew House took the stage at a pre-TGS press conference this morning in Japan to show off this new pocket-sized system. This 6cm x 10cm device will allow your TV to access Hulu and other like services, watch PS Store videos/movies, tweet, email, and much more. And as the name suggests, the PS Vita TV will let you play Vita games on your television, as well as downloadable PSP and PSOne games. There’s even multiplayer support for Vita games. Just keep in mind that Vita games that need touchscreen action won’t work with this system. Amazingly, it’s also a companion device for the PS4. Via remote play it will allow you to play PS4 games from another room, for example. In Japan it will be released for 9,480 yen (about $95) this November 15. A bundle with an 8GB memory card and Dual Shock 3 controller will also be released, priced at about $150. A bunch of new models of the PS Vita were announced as well. Personally, I have never warmed up to the Vita, but then again I am probably just pissy because Sony doesn’t release a new Parappa the Rapper sequel every year. So your mileage may vary. But I want to know what your thoughts are on these sort of tiny TV-based systems. PS Vita owners, sound off about or whether or not I should give it a chance. On the flip side, are their any Ouya fans out there? That little device seems to be PS Vita TV’s greatest opponent right now in terms of getting gamers’ dollars. (Not that the grassroots DIY aesthetic of the Ouya can even remotely compete with the giant that is Sony). While we are on the subject of upstarts, who is psyched about GameStick, Apple TV’s Airplay and GamePop? Let me know what you think about all this in the comments, because the complexities of trying to decide on the perfect TV gaming experience these days just makes me want to dig out my Commodore 64 and play Space Taxi until I fuse with my sofa and get featured on one of TLC’s cautionary tale medical shows. (Thanks to SlyDante for the tip).